This is my first link up party (yes, I’m a total newbie) and I’m excited to participate in the Five Minute Friday party! Read all about it here and try it out yourself. We get one word to write about for five minutes with no editing, so it’s all impromptu and all from the heart. The word for this week is “belong.” And the timer starts….NOW. Home is where the heart is. This was a major theme growing up in a military family. My brother and I went to 20 different schools growing up and there were only a few places where we lived a full year. We really didn’t mind; we actually loved traveling to new places. We belonged somewhere when we were with our family. In school, we made friends quickly, especially since most of the schools we attended were on the military base and all the other kids were in the same boat as us. My brother was much better at making friends and would often find a best friend in the neighborhood who had a sister my age. When we got older and started high school, we thought we would stay put for once. We had gone through 7th and 8th grade in the same school – amazing! And we started high school with all our friends. This was an exciting time. We felt like we belonged somewhere, not only in our family, but in a community. I still look back and cherish those years. 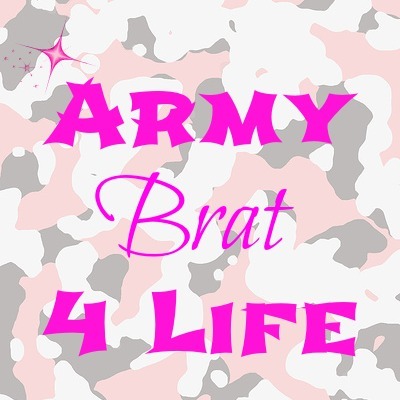 I’m an Army Brat and loved every minute of it! Well that was fun! I think I might make this a regular weekly post. Have a great Friday! Love this! Home really is where the heart is, and it's what you make it! there is one place you will ALWAYS belong, right in the centre of His heart!